Woori Communal Table Session II: Where Are We Now? –Elise Yoon, Reflections on Woori Communal Table Session 1: Where Are We from? ‘우리마음’은 언제 조직되었고, 활동을 시작하게 된 계기는 무엇인가? 어떤 사람들이 멤버로 활동하고 있으며, 몇 명 정도가 활동하고 있나? 특정한 대상을 두고 활동하는가? 최근 활동 현황은? 우리마음에 관해서 더 아시고 싶으시면 민플러쓰에서 인터뷰 기사를 읽어 주세요. Reflections on Woori Maum Communal Table Session 1: Where are we from? 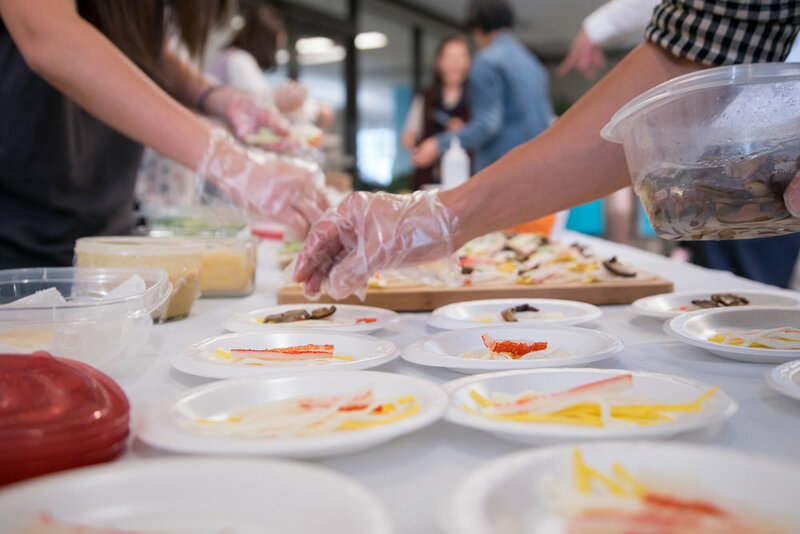 Woori Maum held their first Communal Kitchen Table event earlier in November to create an open environment for young, professional Korean Canadians to come together and discuss the significant role food plays in one's well-being. The evening was composed of various traditional Korean dishes provided by a group of panelists including Grace Park, Olive Suk, Jason Lee, and Grace Cho who shared with the audience their experiences with food. To learn more about the event, click the link below!